We’re all constantly bombarded with health advice, from advertisements to Facebook postings to warnings from Grandma. Unfortunately, much of that advice is unreliable, unproven, and downright harmful. It can be very hard to separate medical fact from fiction, but that’s exactly what scientists are teaching elementary-school kids in Uganda to do. Andy Oxman is research director at the Norwegian Institute of Public Health. He’s been working in Uganda since 2012 on the Supporting the Use of Research Evidence (SURE) program, which aims to improve both access to health care and patients’ ability to make better-informed health decisions. The program brought Oxman into conversations with politicians, who struggled with the same fact-or-fiction issues as the rest of us. But educating them was an uphill battle. "Working with policymakers made it clear most adults don’t have time to learn, and they have to unlearn a lot of stuff." But kids, he thought—kids might catch on pretty quickly, Oxman told Vox. The best-known primer on evidence-based health education is a book called Testing Treatments (available for free here [PDF]). The book breaks down the basics of scientific literacy and teaches readers to cast a careful eye at health claims and medical research. “You don’t need to be a scientist to think critically and ask good questions,” co-author Iain Chalmers told Vox. After the latest edition of the book came out in 2012, Oxman approached Chalmers with his big idea: to teach its contents to children. “You’re mad,” Chalmers said. But Oxman was serious. Why shouldn’t kids be given the tools to evaluate what they’re told? 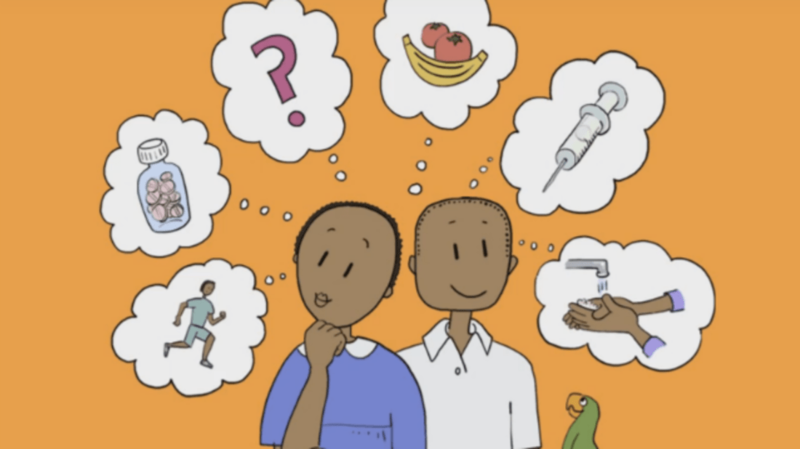 Oxman and Chalmers enlisted other scientists from Uganda, Kenya, Rwanda, Norway, and the UK to help identify the most important lessons a health literacy program should teach when considering the value of different medical treatments. They arrived at a list of 32 concepts, highlighting the need to be wary of things like small clinical trials, dramatic results, and a bias toward newer or more expensive treatments. Next, they collaborated with schoolteachers in Uganda to translate those concepts into lesson plans, a teacher guide, and workbooks and readings illustrated with cartoons. Because evidence and data are kind of their thing, the researchers decided to test the program’s efficacy as they implemented it. They set up a randomized controlled trial (the gold standard for scientific studies) involving more than 15,000 fifth-graders. From June to September of one school year, half of the students trained in BS detection, while the others went about their education as usual. When the school term ended, the researchers tested all the kids to see if they’d become savvier consumers of health information. They’re currently crunching the numbers, but expect to find that their program did the students some good. "My hope," Oxman told Vox, "is that these resources get used in curricula in schools around the world, and that we end up with the children … who become science-literate citizens and who can participate in sensible discussion about policy and our health."